Who Wants This? 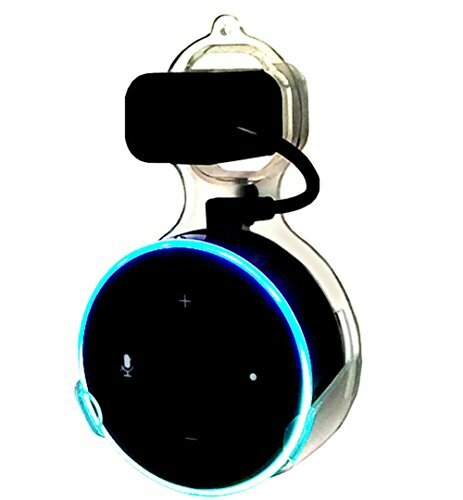 Echo Dot Wall Mount Hanger for $3.99 Shipped! Right now you can get the Echo Dot Wall Mount Hanger for $3.99 on Amazon. YICHANG Echo Dot Wall Mount Hanger Holder Stand with Short Charging Cable for Amazon Alexa Echo Dot 2nd Generation Transparent Accessories Space-Saving in Bathroom, Bedroom, Kitchen, Classroom. Wall Mount: With a short charging Cable, directly installed in the socket, tidy and convenient. Designed for Echo Dot 2nd Generation. Easy to Install: No screwdrivers or tools required, just place your speaker in and plug it in, installs in seconds,safe and stable. Space-saving, Beautiful Decoration: Compact and Stealth appearance,provides small space to operate your home speaker and beautiful looking. Unique design :The Hook clips are designed to lock your Echo Dot securely while at the same time does not block any sound or even the blue light Ring. The cavity left beneath the echo dot functions as a speaker box to make Alexa's voice even better. Usage scenarios: Suitable for bedroom, kitchen, study, living room, Toilet is also could plugged in...Everywhere. Shipping is free with Amazon Prime or orders over $25. Don’t miss it!! !